Here’s a card made with images from the Looks Like Spring Stamp Set (retired) from Stampin’ Up! Sentiment is from A Greeting for all Reasons (retired SU). I used ivory, chocolate chip, and old olive cardstock. Added a little knot of hemp twine on the flower. 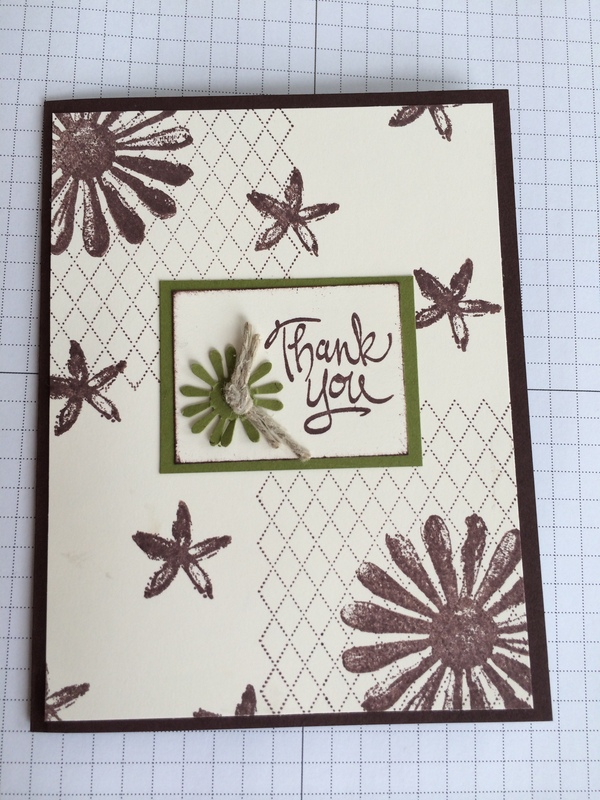 The flower punch was also from Stampin’ Up! I recommend adding a layer of ivory cardstock inside to write on. Adding it on both sides will look nice. Or, add it only on the back if you’d like to balance the weight of the card better.